B#S Gallery is a no profit exhibition space, dedicated to the experimentation of new contemporary art languages (visual and sensorial languages) and to the investigation on the heritage of conflicts. 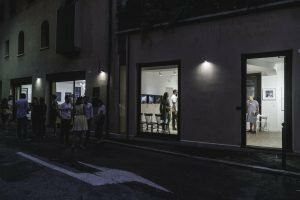 B#S Gallery opened in Treviso on August 2017, thanks to the synergy with Current, its main partner, which offers artistic and museological services to business companies. 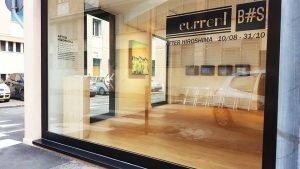 Located in the historic city centre, just a few steps from Duomo, the 90 square meters gallery with large windows backing on the street offers exhibitions, contemporary performances, meeting with artists, talks, workshops. B#Side War, a widespread festival by definition, found in B#Side Gallery a stable operational seat from which its activities are organized all over the world, a space where is given voice to unprecedented experimentations: a point of reference for more than 200 artists and 67 partners from 55 different countries that collaborate with our festival and with our Ngo.